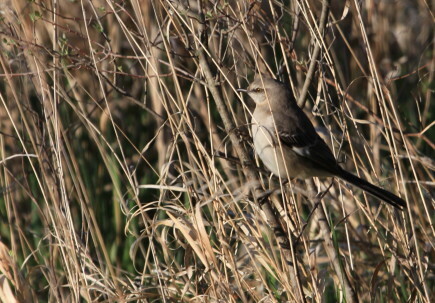 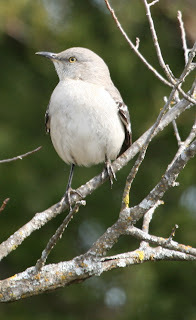 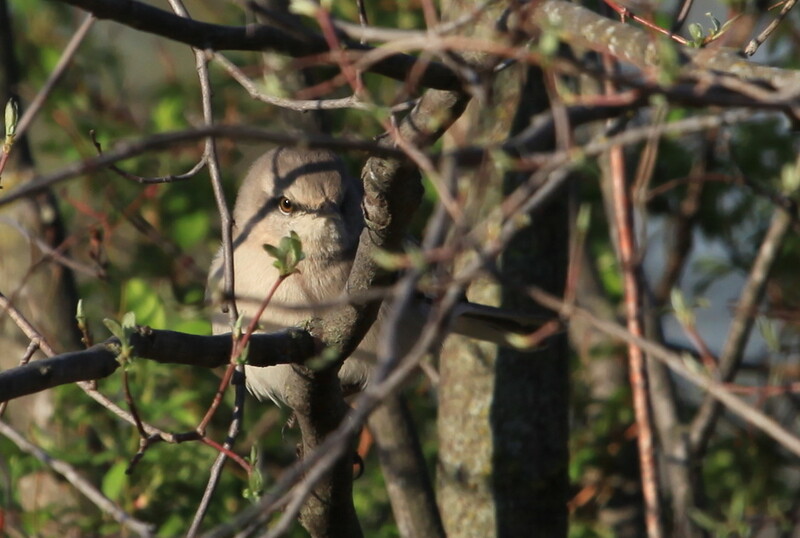 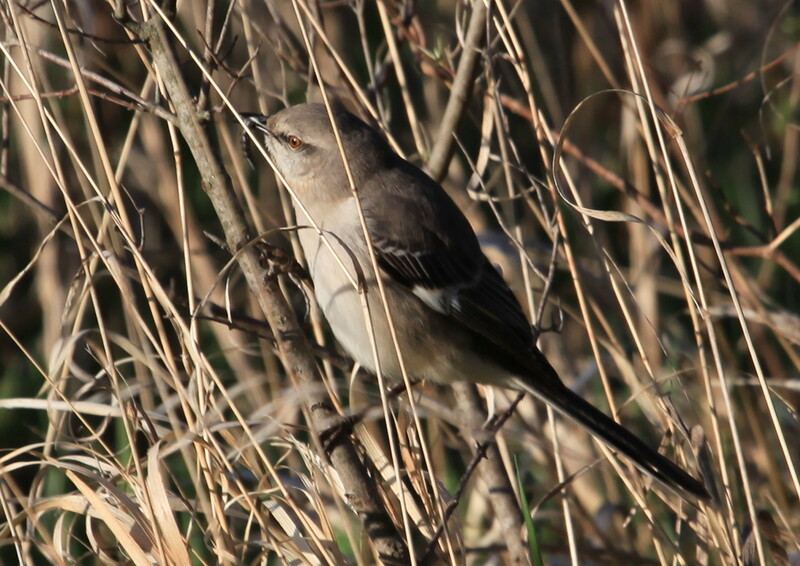 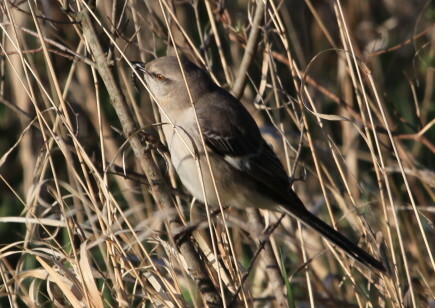 Had a great time this morning watching this mockingbird foraging around the trees. 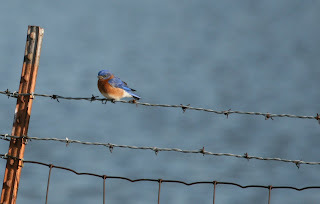 Click on pictures to enlarge. 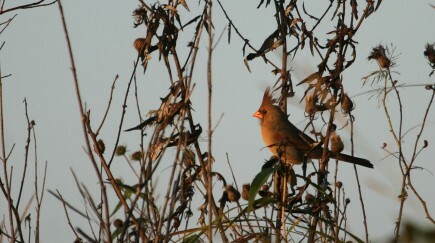 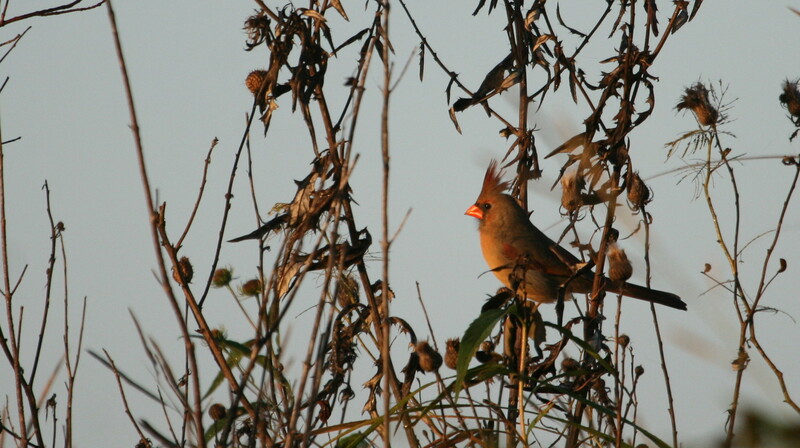 A female cardinal watches the sunrise. 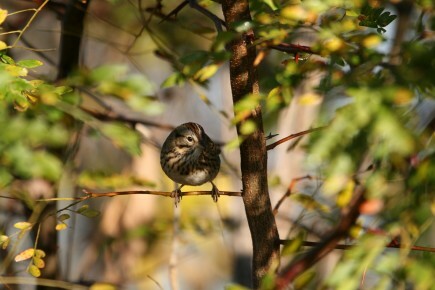 A sparrow peeks out at me. 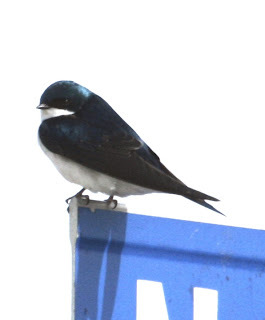 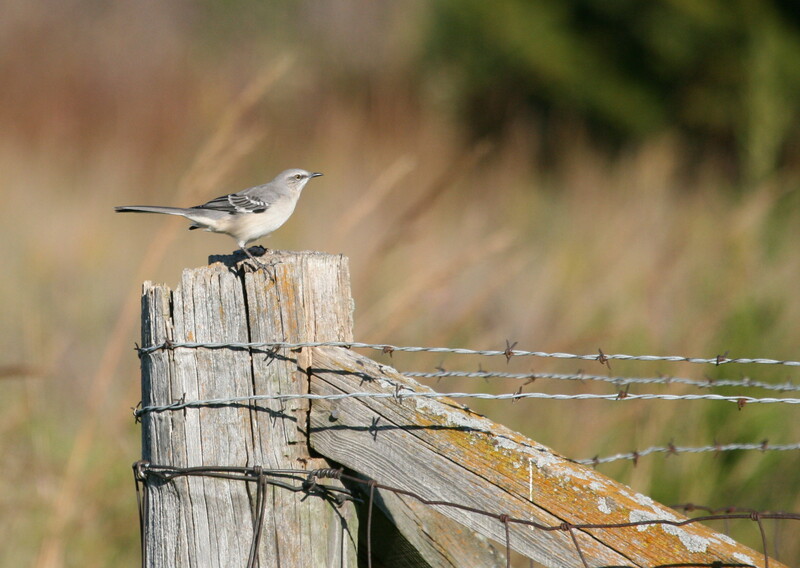 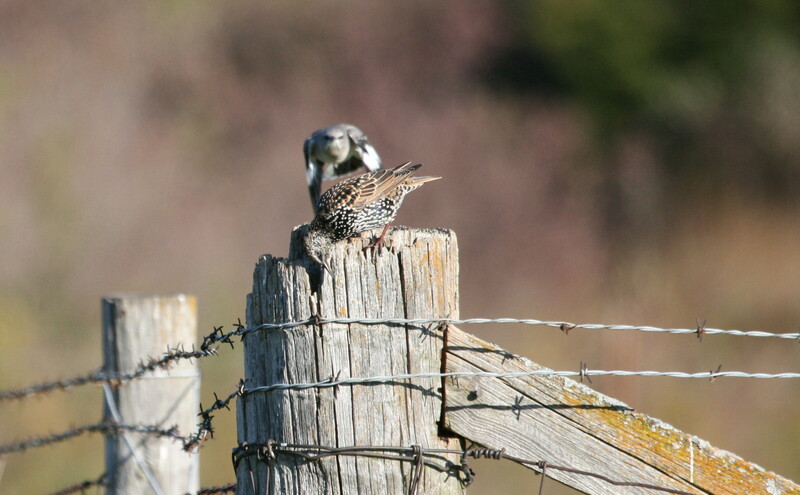 A mockingbird takes aim at a starling and takes over the fencepost. 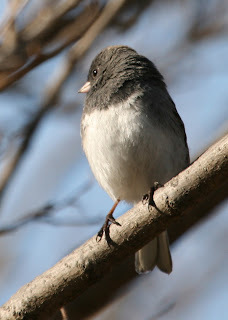 Click on pictures to enlarge.